I.H.Rissler Mfg LLC., Chain mixers, Electro Mix (reel Mixers), Mixing Feed Carts, & Bale Unroller Carts, and the NEW vertical feedcart. 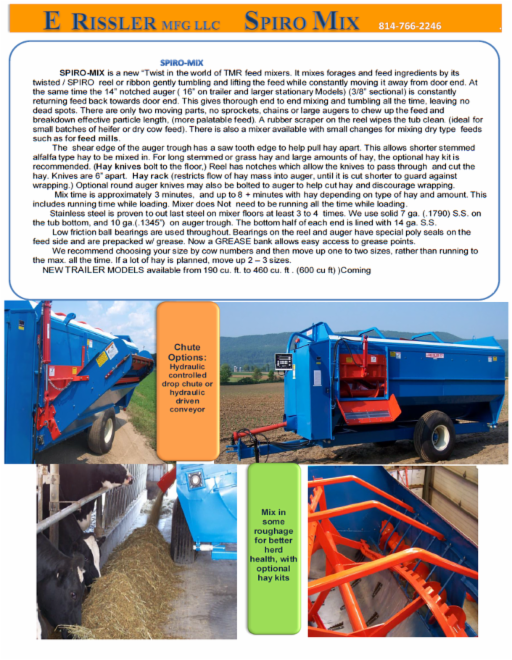 E Rissler's own Spiro Mix TMR mixer design, for gentle feed handling, low horse power requirements, long life, through use of stainless steel in high wear areas. 1 Auger brings feed back to oposite end, for true and fast ,end to end mixing. MIX HAY with our Hay kit, for better performing cows. 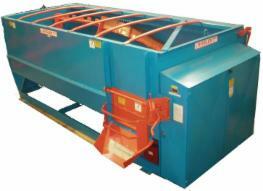 Sizes from 95 cu ft. to 460 cu ft.
New 2013 Drive, now change the belt, by simply loosening the motor. This redesign has also strengthened the drive shafts. Brothers, Edwin and Ivan , with Edwin Rissler being one of the larger dealers of I H Rissler's chain mixers for over 10 years. The Chain Mixer serves a very good purpose of mixing feed in a small area, being a square box, using low power, and it Lasts a long time, many in use over 20 years. After years of selling and repairing mixers, Edwin, designed and tested a reel mixer that has no chains in the feed area. Ivan , from I.H.Rissler Mfg. decided he had to have a similar mixer. Not wanting to carbon copy his brothers idea, he designed his different with the auger in the center. Spiro-Mix is a new "twist" in the world of TMR mixers. It mixes forage and feed ingredients by its spiro reel or ribbon, gently tumbling and lifting the feed while consistently moving it away from the door end. At the same time, the 14" notched auger (3/8") is then constantly returning feed towards the door end. This gives thorough end to end mixing and tumbling all the time, leaving no dead spots. There are only (2) moving parts, no sprockets, chains or large augers to chew up the feed and break down effective particle length, creating a more palatable feed. A rubber wiper on the reel wipes the tub clean. 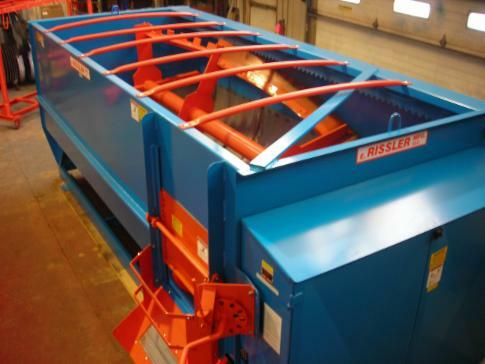 There is also a mixer available for mixing dry type feeds , such as for feed mills. A saw tooth on the shear edge of the auger trough helps pull hay apart. This allows shorter stemmed alfalfa type hay to be mixed in. 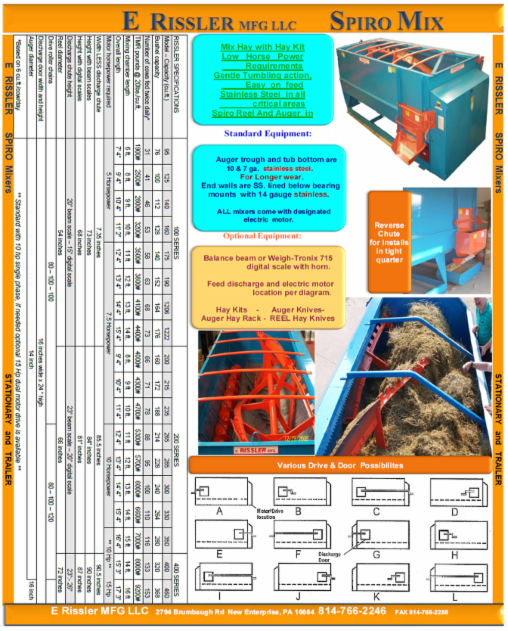 For long stemmed or grass hay and large amounts of hay, the optional hay kit is recommended. 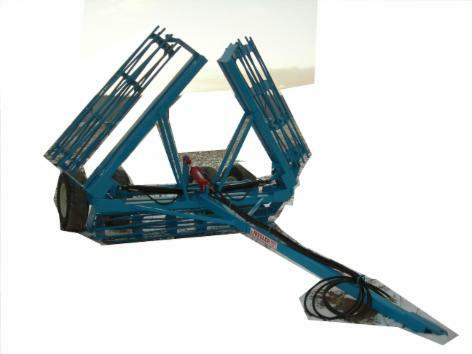 Optional hay rack restricts flow into auger to prevent wwrapping and plugging. Round knives are also optional on the auger to help better cut hay and discourage wrapping. Mix time is approxiamately 3 minutes, without hay. With hay allow around 8 minutes, which will depend on hay type and quantity. This includes running time while loading. Mixer does not need to run all the time while loading, saving on power costs. Stainless steel is proven to outlast steel on mixer floors at least 3 to 4 times. We use 8 a. stainless on the drum/tub bottom, and 10 ga. auger trough. Also ends a re lined in s.s. on lower half. Low friction ball bearings are used through out. Bearings on the reel and auger have special poly seals on the feed side and are prepacked with grease. A grease bank allows easy access to all grease points. Rolling Basket, for pulling behind disc or cultivator, custom built 12 ft to 30ft. with transport wheels. Breaks up clods and levels out fields.